Marine simulators are commonplace in the training and development of crew for large vessels. Not so much for small, fast patrol and attack craft. From the mid to late 1970s, marine simulators developed into a viable training tool for trainee mariners. Their initial popularity developed as opportunities for practical training became scarcer and a lot costlier, too. Since then, however, the advancement of the technology has brought a new dimension to professional crew training for small, fast craft. We gained exclusive insight into this hyper-realistic advanced technology from Cruden’s CEO Maarten van Donselaar. With the success of aerospace simulators in reducing costs and fast-tracking trainees, the use of simulators in the marine context has become an important part of safety training and bringing trainees up to a higher level of competency before being let loose on large vessels. 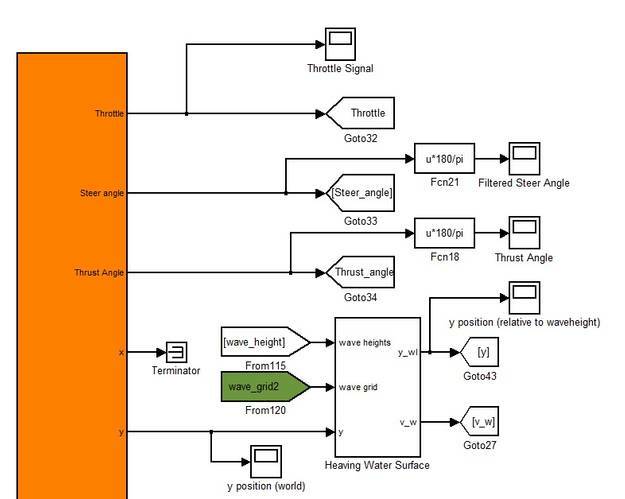 Today, the most common simulators used in our industry include those that replicate, to an incredible level of detail, a ship’s bridge and control, the engine room, cargo handling, communication and Global Maritime and Distress and Safety Systems (GMDSS) plus remotely operated vehicles (ROVs). While the current crop of simulators can give novices control of anything from a Panamax container ship right up to an Ultra Large Crude Carrier (ULCC), very little has existed in the way of highly realistic tools for high-speed craft. Up to now, replicating the real-world effects of performance, handling and safety procedures for small, fast boats was, and still is, an incredibly complex task given the speed and rapid responses required to replicate the real-world experience. That training has therefore largely remained out of reach. Until now. Cruden’s Fast Craft Simulator is the culmination of over six years of development and testing to ensure the proprietary hardware and software can replicate repeatable scenarios with the utmost accuracy and sensory realism. “The Fast Craft Simulator is more akin to a Formula 1 set-up where a few milliseconds lag in system response can unsettle the operator because drivers are very sensitive to correctly timed responses to their input or the effects of hitting a curb. Our architecture is developed to minimize latency. Over the past six years we’ve worked closely with the likes of the Florida Powerboat Industry and military end users plus training providers worldwide to gather as much knowledge on boat specifications measuring physical parameters as well as every aspect of their behavior and characteristics on the water. Of equal importance is understanding the training needs in terms of the course content and evaluation criteria. 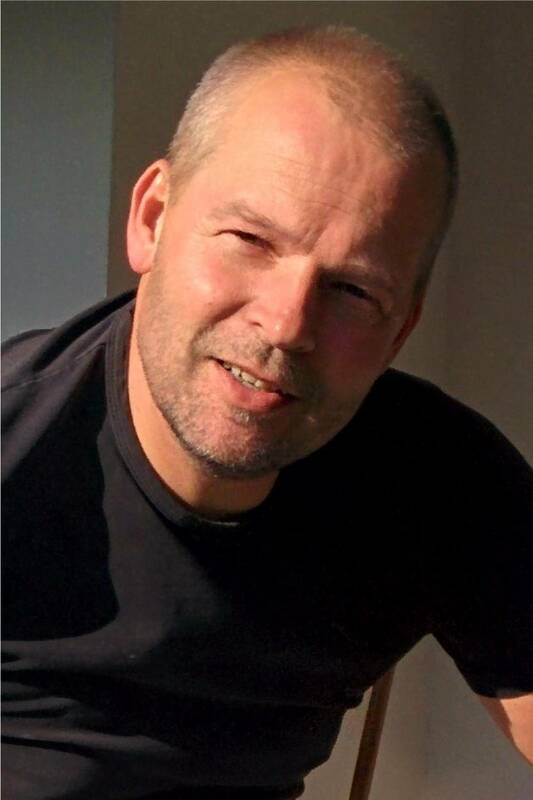 Our team of experts then designs and builds the fast craft simulators exactly according to client specification,” says van Donselaar. 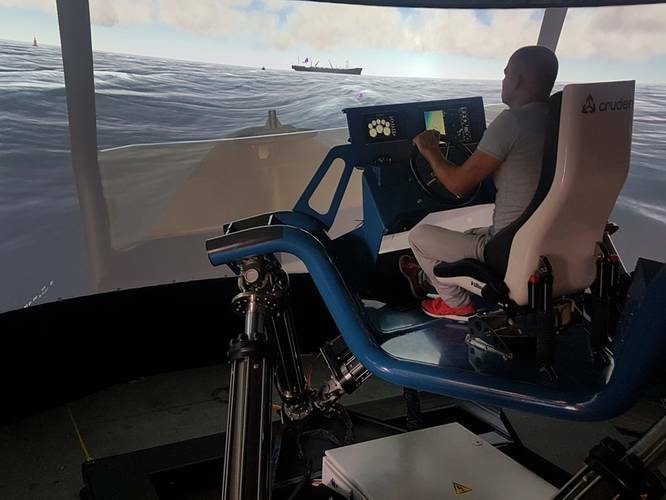 In addition to this, Cruden is currently working as part of a joint venture between the Marine Research Institute Netherlands (MARIN) and the Dutch Ministry of Defense to develop a new Fast Small Ship Simulator (FSSS). 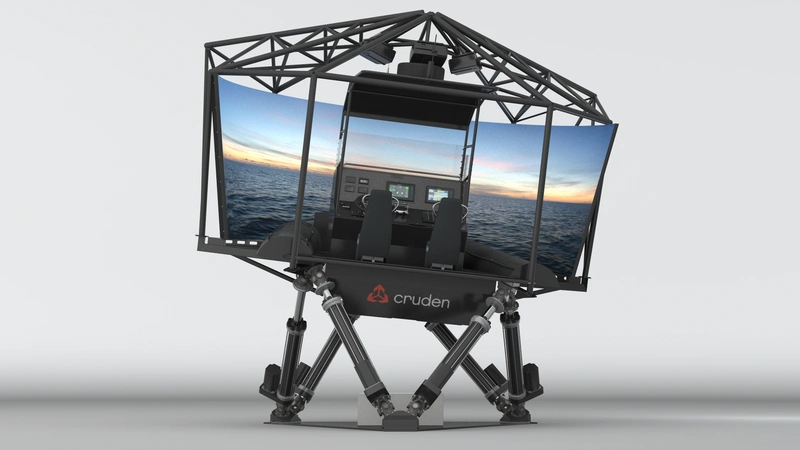 “Cruden has the capability to make simulators for virtually any requirement and our team will structure the system to mirror anything from small RHIBs to 100 ft patrol boats. This includes hull mockups mounted to the motion system that moves in six degrees of freedom. This allows the trainee to experience high-speed turns and recognize violent slamming. We account for all scenarios thanks to the computer algorithms, but stop short of making it too extreme in the case of high G-force ‘slamming’, to eliminate any risk of knee or back injuries. The flexibility of this system is integral to making it a viable tool for craft-type training as well as defense-based scenarios,” adds van Donselaar. The arrival of Cruden’s Fast Craft Simulator and development of the FSSS coincides with the growth of this market both for high-performance vessels used in law enforcement and search and rescue as well as special defense force and naval operations. The need for such training tools is adding a whole new dimension to the way in which mariners can learn and develop their skills. Maarten van Donselaar explains: “We are working with a range of partners ranging from Special Forces and coast guards who deploy boats from OEMs like Boomeranger, MST, Damen and Holyhead. Training simulators go beyond just boat and crew performance assessments, it also has the capability to incorporate shore-based communications, targeting and weapons simulations. For weapons integration, we work with Meggitt Training Systems and so, whatever a fast craft is equipped with in real life, will also feature on the training simulator. This article first appeared in the December print edition of MarineNews magazine.